French Polynesia has signed an historic agreement that will allow for the development of the first floating city in a lagoon in French Polynesia. 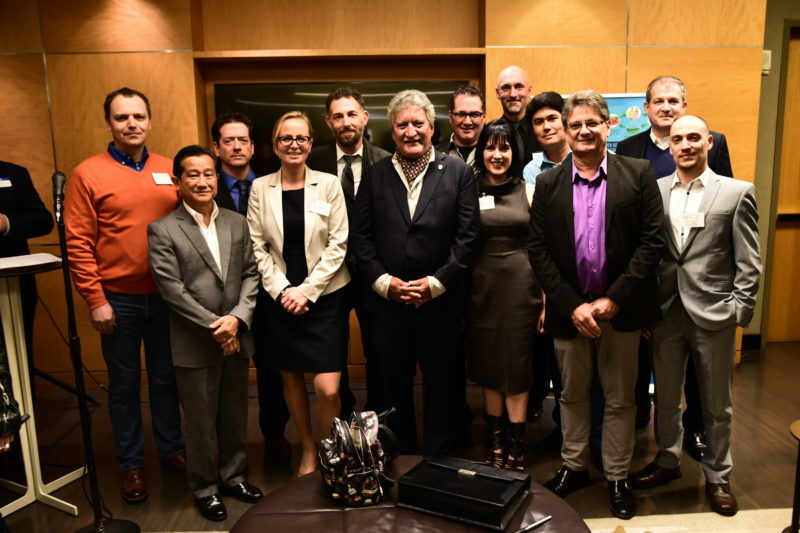 During a visit to The Seasteading Institute in California on the 13th of January a memorandum of understanding was signed by Mr. Jean Christophe Bouissou, Minister of Housing and the government’s official spokesperson on behalf of French Polynesian President Edouard Fritch. Blue21 co-founder Karina Czapiewska was there on this memorable occasion. The floating city is to be developed in a lagoon off the island of Tahiti. Suitable locations will be sought in sheltered waters behind a reef break so that the island will be protected from large waves. Environmental and economic impact studies will then be conducted to ensure that it will benefit the local economy and avoid damaging the environment. The special governing framework needed to realize the development will be completed by the end of 2017, studies into the project should reach completion by 2018. Construction of the pilot project based on Blue21’s sustainable modular platform design, will hopefully start in 2019 and is estimated to cost between US $10 million and US $50 million. This exciting new development has been picked up by media around the world with BBC News and Global Construction Review reporting on the news. Visit The Seasteading Institute’s website for more information on the collaboration with French Polynesia.